Connor Kerns is a premier client advisor for Matthews Multifamily Advisors™, a division of Matthews Real Estate Investment Services™. Connor and his team specialize in the disposition and acquisition of multifamily properties nationwide, specifically in the Atlanta MSA and surrounding submarkets. 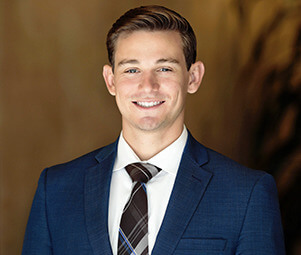 Leveraging his comprehensive market knowledge and unrelenting work ethic, Connor delivers unprecedented results for his clients by redefining their expectations for their investment goals. Connor has forged relationships with national industry experts, private investors, developers, and institutions. Prior to joining Matthews™, Connor was a part of the corporate finance team for Nationwide Insurance. Here, he polished his analytical skills by evaluating financial packages for the specific region to aid his team in decision making and implementing various strategies.